SMART – Elizabeth J., 80, of Liverpool, passed away peacefully in South Shore Regional Hospital, Bridgewater on Sunday, April 22nd, 2012. Born in Liverpool, she was a daughter of the late Benjamin Cunningham and Louise MacDonald. Betty worked for Standard Brands at the Best Yeast plant in Brooklyn and was a receptionist for Dr. Lloyd MacLeod. She worked at Queens Manor for a number of years until her retirement. She was a member of Zion United Church and the U.C.W. for many years as well as the Liverpool Firefighters Association Ladies Auxiliary and the Ladies Auxiliary of the Royal Canadian Legion Mersey Branch #38. She enjoyed watching curling, playing darts and bowling with the seniors league. She is survived by her daughter Carla (Enos) Wentzell of Westfield, sons Albert Jr. (Lyna Lee) and Danny (Sharon), both of Liverpool. Grandchildren Nathan (Rebecca) Smart, Meaghan (Adam) Roberts, Stacy (Ryan) Smart-Chandler, Tyler Smart and Cassidee Kempton. Great granddaughters Elizabeth Smart and Adelyn Roberts. Sister Barbara Knowlton of Fort Myers and half-sister Agatha Jennings of Bridgewater. Brother Joseph Cunningham of Liverpool. She was predeceased by her husband Albert, daughter Valarie, half-sisters Dorothy Webb, Marion Sarty, Marguerite McLeod and brothers James and Leland Cunningham and several half-brothers. Our sincere sympathy to Betty’s family.Our prayers and thoughts are with you all at this difficult time.Take care. To Betty’s family -my thoughts are with you all at this sad and difficult time. Our deepest sympathy to Betty’s family. She will be missed. We were so sorry to hear about Betty’s passing. Jamie knew her for years as a kind and cheerful neighbour and even after he moved away, we enjoyed bumping into her and having a little chat. Our deepest condolences to the family. Look for me in rainbows, high up in the sky. Betty was a wonderful person and the best neighbour we could have had! She has a higher purpose now and is at peace in God’s home! to bettey’s family; so sorry to hear of your loss; betty was a lovely person. Betty was a great person to work with at Queens Manor.We always chatted when we met at the grocery store etc. Our thoughts and prayers are with all of Bettys family. Sorry to hear of Betty’s passing.I always enjoyed our chats & laughs when I met up with Betty in town.Betty was so happy & always had a smile.I will miss seeing her.My deepest sympathy. I am sure Betty will be missed by many as she was well know and liked.Judy and I send our deepest sympathy to her family for their loss. Betty was an awesome woman I bowled with her on our Monday morning league and she is going to be greatly missed by myself and others my thoughts are prayers are with the family I will miss you . i am sorry to hear about your mother and grandmother. i got to know betty from the ladies auxiliary and she was a very lovely person to talk to. she is at peace and she will be looked after by all her friends in heaven. may god be with you at this time of need. We were so sorry to hear of your Moms passing.She was a gracious lady and always had time for a chat when we met her.She will be greatly missed by everyone who knew her.Our condolences to you all. So sorry to hear of your loss. Our thoughts and prayers will be with you during these difficult times. Rest in Peace…Betty. I will miss your smile and our chats. You were the best Mother-in-law anyone could ever have. My children were so lucky to have you as their Grandmother and you always made me welcome in your home! Love you and miss you! Till we meet again. So sorry to hear of Betty’s passing. I had many chats with her ar Dr Lloyd’s office.May God be with you. Our deepest sympathy, thoughts and prayers are with you. I am so sorry to hear about the passing of Betty . I have known Betty for a long time , Even when she came to my mom’s Hair Salon in Sandy cove to get her hair done . She was a wonderful lady & she always had a smile on her face no matter were she was at . I will miss her dearly . My throughts goes out to the family . May you rest in peace Betty . Debbie Carrier. Albert & Family, we were saddened to hear of your Mom’s sudden passing. Our thoughts and prayers are with you at this difficult time. Betty was a lot of fun at bowling and she made me laugh with her witty comments. I will truly miss her. God Bless. Betty who was loved by many of us,shall always be missed, those of us who knew her were blessed. My sympathy to her families. To Betty’s Family: Our deepest sympathy on the loss of your loved one. We will miss seeing her smiling face and the little chats whenever our paths crossed in Liverpool. So sorry to hear about Betty. She was a wonderful person. She is in so many of my childhood memories at the cabin. She will be missed. Carla – sorry to hear of your Mom’s passing. Betty’s family: We were sorry to hear about Betty. Our thoughts and our prayers are with your family. I worked with Betty along with Betty Lohnes at Queens Manor and between the 2 of them they told all us younger ones what to expect when we got older and I still laugh at what they said so R.I.P. Betty and I hope you never have to sleep alone. Sorry to the family for their loss. Betty was a wonderful sister and a wonderful aunt. She was never too busy to stop and have a chat, no matter where she was. Always concern about other, not herself. We will all miss her loving smile and personality. God bless you all ! Betty’s friend of many year, Ivy from Shag Harbour, wanted us to give her love to the family and too say how much she will miss her. Betty was a wonderful lady and had many laughs throughout the years. May you all take comfort in remembering the memories of such a great mom, grandmother and great-grandmother. Sorry to hear about Betty. A very sweet lady. I am so surprised and saddened to read about Betty’s passsing. I had known her for many years through the fire department, Zion United Church activites, and when we both worked in doctors offices, she for Dr. MacLeod and I for Dr. Bell. During the medical office experience we had may good conversations and laughs. I recently saw her and had a nice chat at the UCW 50h AGM held at Lanes. My thoughts and prayers are with you at this difficult time. 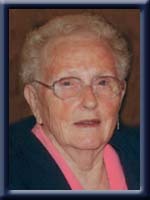 The Maritime Conference United Church Women extend deepest sympathy on the loss of your loved one, Betty. May you always keep the memories of Betty in your heart and treasure them each day. May the love of God surround you to comfort, strengthen and give you courage as you face the difficult days ahead. May you feel the love and caring of your U C W Family and know that they are there to give you support, encouragement and strengthen you. and so friendly.The family very good neighbours when i lived on Brunswick St. Our thoughts and prayers are with the family at this sad time. Please accept my deepest sympathy in the loss of your mother. Betty was a wonderful person. She always had a smile on her face and a kind word for everyone. She will be greatly missed by all who knew her. My thoughts and prayers are with you. Mom and I were very shocked and saddened to hear of Betty’s death. She was a very fine person and a hard working member of the Ladies’ Auxiliary of the Royal Canadian Legion in Liverpool. I always enjoyed chatting with her, especially when she was in the kitchen helping to prepare the TGIF suppers that were put on by the Auxiliary. Our thoughts and prayers are with all of you at this difficult, sad time. We were so sorry to hear of Betty,s passing . I,ve known her all my life and she never changed, there was always a smile and some friendly words whenever you saw her. She was a good friend to my Mom & Dad and will always be remembered with love. God Bless all the family.RIP Betty . To Bettys Family,We are so sorry to hear of Bettys passing,she always had a smile and a kind word,We sure will miss her at church,May God be with you all at this sad time. Please accept our deepest sympathy. We will miss her smiling face in church. smile,and friendly little laugh when we stopped to talk in the Super Store, and in earlier years when we were out walking alot. She always took the time out to talk.I can still picture her big smile. So sorry to hear of the loss of your mom. Thinking of you during this difficult time. We were so sorry to hear of Betty’s passing, our thoughts and prayers are with you all at this sad time. Very sorry to hear about Betty.Thinking of all her family at this time. Very sorry to hear about Betty…She was a awsome person..RIP Betty!!! Please accept our sincere condolences. Sorry to hear of your loss. Betty was a very well loved, easy going person. I got to know Betty through my mother. They went to school together and she always remembered me no matter how long we hadn’t seen each other. I was just talking to her this year, we met at Pine Grove Park. She was walking her baby and I was walking mine. We must have talked for an hour. I was so shocked at her walking around the Grove, but I guess you can’t keep a good person down. May she rest in peace and may you all only think about happy times and good memories. She will definitely be missed by her family and many friends. To Betty’s Family, So sorry to hear that Betty passed away. To Albert and family,we are so sorry for the loss of your mother,may she rest in peace. We were shocked to read of Betty’s passing. We fondly remember our days on Beavertail Basin when she & Chum had their camp at “Breezy Point”. She used to pop in for a visit after Chum’s passing and we had some geat visits. We have kept in touch with Betty by visit, e-mail and by phone after having moved away 7 years ago. Our thoughts and prayers are with you at this most difficult time. She will be greatly missed by all. Cassidee and Smart family, Im so sorry for your loss. My thoughts are with you all at this difficult and sad time. I was very saddened to hear of Betty’s passiong. She was such a friendly lady – I will miss our little chats. My condolunces to you all. Our thoughts and prayers are with you all during this sad time. Betty was one of a kind, she touched the lives of so many people during her life. She will be missed. God Bless. We are so sorry to hear of your loss. Our thoughts and prayers are with you. Cherish the memories as your mom may be gone but will never be forgotten. To Carla & family: I was so saddened to hear the passing of Betty. My prayers and thoughts are with you all on this difficult day in your life. Growing up side by side to the Smart family, Betty became my mom#2. I will love you always and miss you dearly. Every time I came home to visit I always made time to visit you. I’m in tears knowing you won’t be here anymore for me to visit and have a cup of tea with you. However you’re back in the arms of your love “chummy”. I was saddened to hear of Betty’s death and send my condolences to you. Betty was a big asset to the Zion church family and will be missed. May the thoughts and prayers of Betty’s friends be of some comfort to you. Was so sorry to hear about Betty.Her smiling face will surely be missed around town and in PharmaChoice.She would always ask how my Mom was doing at the Manor,as they were good friends.My prayers are with you and your family.Keep strong. Our thoughts and prayers are with you all at this difficult time.Betty was a wonderful lady, and I know she will be missed by all,especially Mom.I will miss our talks when we would meet.She is gone,but never forgotten.May she R.I.P. Hugs to all. It was a pleasure to have known such a sweet lady. She will be sadly missed. Carla – so sorry to hear of your Mom’s passing. She was a great lady. I met her many years ago when I bowled and she always a smile and something “smart” to say. She will be missed by all her family and friends. Take care in knowing that one day you will meet again. Thinking of you. Was so sorry to hear of betty”s passing. We are so happy to have got to know her as our neighbour for the last five years. Could always see a smile on her face when spring time came she and her little dog would always make there walk around every year. Betty was a greal neighbour and always take the time to say hi and had such a great smile.She wll be missed and always thought of when we look her way. Danny we are thinking of you in this difficult time and if there is anything we can do for you we are here for you . I’m sorry to hear of Betty’s passing. She was a treffic lady, always had a smile and a hello whenever she saw you. I know Mom will miss her as they use to go to meetings together and talk alot. Our thoughts and prayers are with y’all. To Betty’s family and friends, I was saddened to hear of Betty’s passing. She was wonderful lady with a kind heart and always had time to chat when I visited with my dad Murdock.The neighbourhood and community has lost a very special lady. She will be missed by many.So very sorry for your loss.Keep your memories close to your heart. God bless. We were very to sorry to hear of your mother’s passing. Your are in our thoughts. Take care of yourselves and each other. I was very sorry to hear of Betty’s passing and will be thinking of you all during the days ahead. We shared many laughs at bowling and enjoyed many fun Mondays…she will surely be missed at the alley. I just heard about your Mom’s passing and Larry and I want you to know that we always considered Betty to be a very special person. Our thoughts are with you at this time. Please pass our condolences on to your brothers and their families, as well as Cassidee. Your Mom will be remembered and missed by all who had the privilege of knowing her.